THIS IS CARD #464 IN NM/MT OR BETTER. Great conditioned card and well protected. CARD NUMBER IS #110. To CANADA. The card number is 154. To CANADA. The card number is 174. To CANADA. 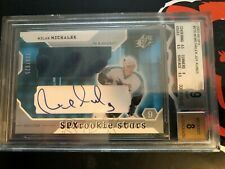 2003-2004 SPx RADIANCE Milan Michalek RC ROOKIE AUTO PATCH #/50 GAI 10 PSA BGS ? GAI 10 (GEM MINT PERFECT 10). This was the first of this card to receive a GAI 10 grade, hence why it has “1st Graded” on the label . 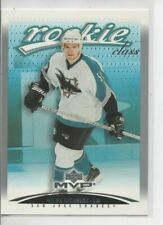 Great looking card and great looking Auto on a super rare card! CARD IS NUMBER 136 AND IT IS NUMBERED. Population 1 of 1 THIS IS THE ONLY PSA 10 OF THIS CARD! Very nice card for any collection. Chatham, ON. Rockets Sports Cards. 5% GST for remaining residents of Canada. 12% HST for residents of British Columbia. 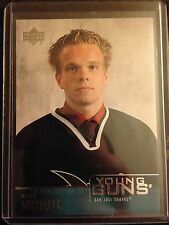 2003 2004 UD SP Authentic Milan Michalek RC AUTO #572/900 BGS 9.5 PSA 10 ? BGS GRADED A 9.5 (GEM MINT). Great looking card and great looking Auto! BGS 9.5 with 10 Auto. Great looking card and great looking Auto! CARD NUMBER IS #133. 076/575 . Card is in nrmtmt condition. P.S.- I also have tens of thousands of OPC cards from the 70`s and 80`s, so if you are looking for other sets or want to complete your want lists, I should be able to help you out at very reasonable prices. Great looking card and great looking Auto!